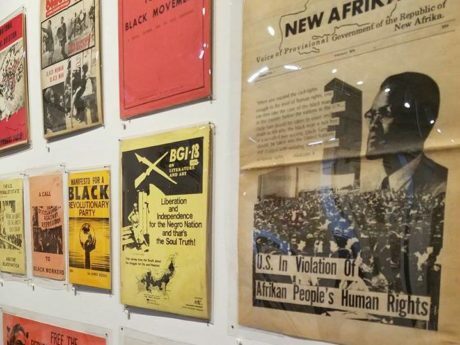 As an alternative to this narrative, two exhibitions in New York are presenting the cultural and documentary history of protests, riots, and revolution that took place over the last forty years, from the election of Richard Nixon to the end of the century. 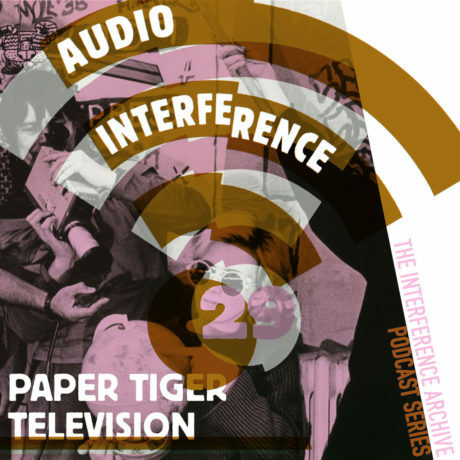 On Sunday February 26th Interference Archive will be open from 2pm until 5pm. 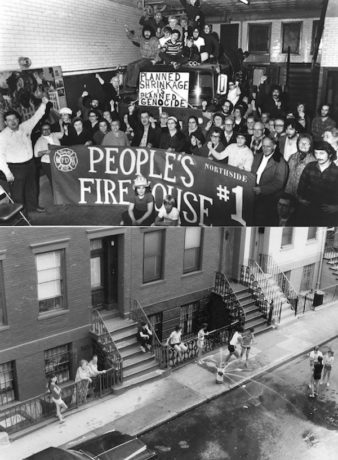 As part of our reflection on the power of community media making alongside the Finally Got the News exhibition, we are excited to partner with Third World Newsreel for a screening of People’s Firehouse #1 (1979) and Voces de Fillmore (2016). Filmmaker Teresa Basilio will join us to introduce Voces de Fillmore, and to participate with the audience in a conversation about the power communities have to shape their neighborhoods, as well as the potential of community media making to tell the stories of current organizing work. In 2016 Interference Archive received our biggest ever donation, Sean Stewart’s amazing “Babylon Falling Collection” of underground press and related ephemera. This Saturday we are hosting an cataloging party for the collection. A handout Brad Duncan picked up during the 1995 Detroit newspaper strike is a first in his unique and extensive collection of printed materials, now more than 15,000 pieces. Duncan is a staff member at the University of Pennsylvania’s Van Pelt-Dietrich Library, currently working in the interlibrary loan section after three years at the Kislak Center for Special Collections, Rare Books and Manuscripts. 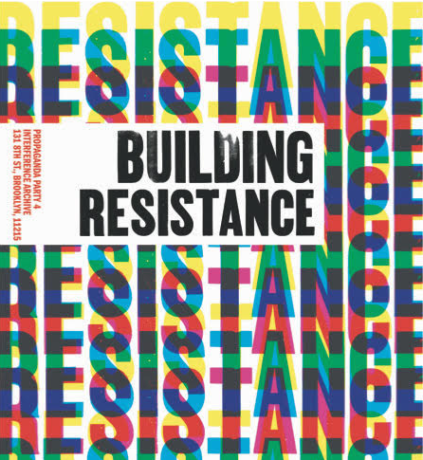 This reading group, designed to accompany Interference Archives’ Finally Got The News exhibition, will explore some of the key liberation movements of the 1970s U.S. through the lens of written documents included in the exhibition, as well as excerpts from publications by the activists and intellectuals who led, chronicled and theorized about them. 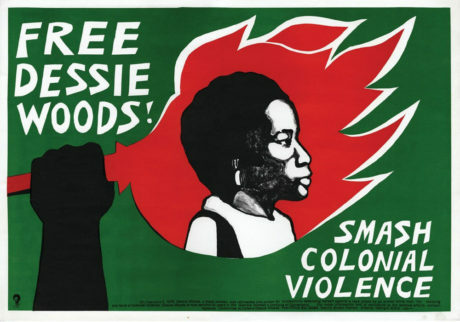 This is not a nostalgia trip, but an opportunity to critically examine some important and often-overlooked threads of our collective history in order to inform our own politics of liberation in the 21st century. 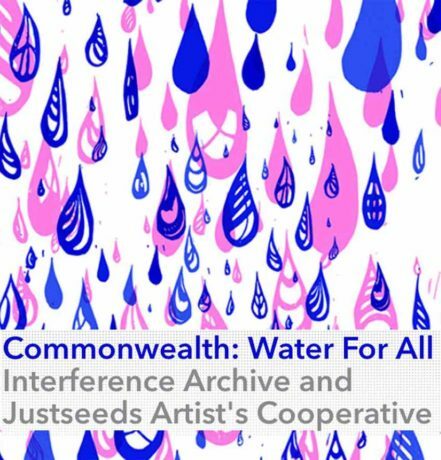 Join Interference volunteers and local Wikipedians in a rhizomatic campaign to improve coverage of women and the arts on Wikipedia. 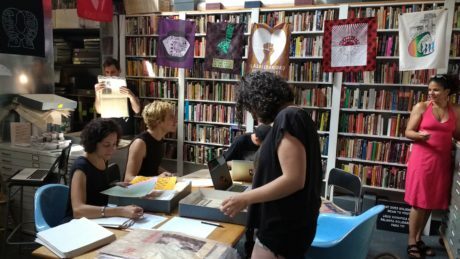 Participants will have the opportunity to work directly with archival materials—including ephemera related to our current exhibit, Finally Got the News—and explore intersections between art, feminism, and activism. 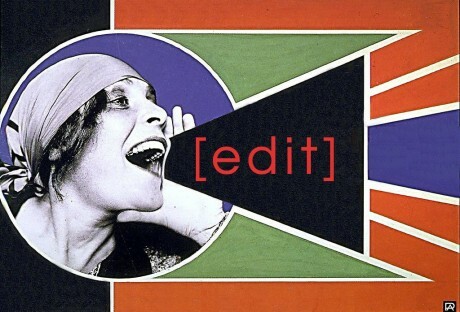 Interference Archive is hosting a propaganda party on March 5 to make and share graphic and informational material that we can use in our organizing work.